A new post on the eve of the Olympics for CNN. While it is a bit in contrast to the rather optimistic attitude that seems to have gripped London (and which I have to admit I am a bit caught up in from where I am! ), it is intended as a horizon scanning exercise to look beyond the Olympics in security terms. For a more detailed look at Olympic security preparation, please check out my earlier longer piece for Homeland Security Today. Per a new agreement, CNN prefer I only post the first 150 odd words here, so for the whole article, please follow either the link in the title, or at the end of the section included below. Just one day after the 2012 Olympics were awarded to London back in 2005, the British were given a graphic and deadly display of the domestic terrorist threat that British security services faced. On July 7, 2005, four British-born suicide bombers sent by al Qaeda blew themselves up on the London transport system. 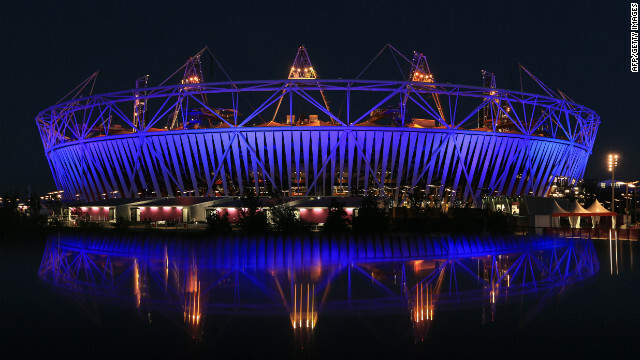 Seven years on, the threat picture to the Olympics is one of uncertainty that will keep security services alert for the duration of the Games and beyond. A high-profile opportunity like the Olympic Games might seem too good for a terrorist to miss. Since the bombing in Bulgaria of a busload of Israeli tourists, concerns have been ramped up about the possible threat to the Israeli Olympic team and, by extension, the Games. Closer to home, the possibility of a Northern Ireland-related attack cannot be discounted. Revitalized dissident groups have long sought to strike against the mainland (and carried out 26 attacks in Northern Ireland last year. A new post over at China in Central Asia, the site I am managing as part of my large long-term project looking at Chinese influence and interest in Central Asia. This time about a part of Tajikistan where trouble has recently erupted which we visited earlier this year. More on this topic as our project progresses, including some more about our impressions of the security situation there. Attention has been focused in Tajikistan’s Gorno-Badakhshan region this week, as a government operation in retaliation for the murder of a Major General Abdullo Nazarov, a senior intelligence official, has been launched in the region’s Pamir Mountains. While the regional capital Khorog has apparently now re-opened for business, it seems as though hostilities continue in the mountains. Earlier this year, we made a trip to this part of Tajikistan, on our way through to the Kulma Pass, Tajikistan’s border post with China. Closed to anyone but Chinese or Tajik passport holders, we instead went right up to the border on either side, driving from Kashgar to Tashkurgan, pausing at Kara Suu to see the brand new border post that has been built on the Chinese side of the Kulma Pass and sat empty waiting for business. It was a crystal clear day, with the border post and army base next to it seemingly abandoned. From what we could see on the Tajik side, nothing was stirring. Once we got over to the Tajik side a couple of weeks later, it was a largely similar experience but with worse roads. Having made a two-day trip from Dushanbe with an overnight in Khorog, we got to the village of Murghab and asked our baffled host to drive us straight out to the border. With a shrug he fired up his jeep, got his son moving and off we went. The bumpy road across the moonscape had seen better days. According to our driver, the road had been built by a Turkish firm with Aga Khan money years earlier, and while there are stories that the Chinese are meant to be rebuilding it, there was little evidence of this on display. On the Tajik side, there were numerous other markers of Chinese presence. We found at least two Chinese-Tajik truck stops, and scattered amongst the rocks were smashed bottles of Wusu beer (a Xinjiang specialty). A place we stopped for lunch had 食堂 (canteen) written on the side of the building and an aid convoy apparently going deeper into the Pamirs was made up of half a dozen large white trucks with white Chinese writing emblazoned across them. Most impressive of all was a Chinese tomb that we found outside Bash Gumbaz – a small village in between Khorog and Murghab. According to all the guide books, this ‘marked the high tide of Chinese influence on the Pamir’ – and after much research I have been able to find very little much more information out about it than this. The Kyrgyz farmer who took the time the take us out to the site enjoyed himself on the way back telling us about how there were Kyrgyz all over the Wakhan and how they had bravely fought the Chinese off centuries before. Back in Khorog we wandered around the region’s capital, staring across the river that separates the city from Afghanistan. The same river acts as a border for much of the Tajik-Afghan border and during the high summer months it is apparently largely dried up, making it easy to cross from one country to the other. When one pairs this with the rather limited security we saw – occasional teams of three young conscripts trudging along with AK-47s slung on their backs – it is easy to see why this is not considered a particularly tight border and how easy it would be to transit drugs from Afghanistan into Tajikistan in the area. This also helps provide a bit of explanation as to why Chinese investment in the roads in the area has been slow. For China, the unstable region is also not likely to provide a huge market for products (Gorno-Badakhshan has a population of about 200,000, the whole country about 7.5 million), and does not provide a road link to anywhere particularly useful. Instead, Chinese- built roads go to the north through Kyrgyzstan from Kashgar, bringing them right into a road network that goes to Russia, Uzbekistan and beyond that Europe. I have a piece in this month’s CTC Sentinel, the journal of the West Point Combating Terrorism Center. It focuses on Rashid Rauf, a figure that has appeared in a number of other pieces that I have written – most prominently in these two (and will feature in the book) – but to my knowledge has not been profiled in such a comprehensive way yet. My initial inspiration for this was an old academic article about Dhiren Barot, another Briton who rose up the ranks, though I think the conclusion is that Rauf was more important. I was also quoted in this Birmingham (where he was from) press story about Rauf. One detail that my friend Paul Cruickshank has pointed out to me since publication was that in court, Bryant Neal Vinas did not recognize a picture of Rauf that was shown to him, suggesting he may not have met him. The Rotella story that I quote in the piece indicates they did encounter each other, but apparently in court Vinas denied it. I had thought they met, but maybe not. In any case, comments and more welcome. Like a ghost in the machine, the figure of British jihadist Rashid Rauf is one that continues to emerge on the fringes of terrorist plots. A Kashmiri Briton whose life story epitomizes the Pakistani connection to Britain’s jihadist community, Rauf was a young man who left the United Kingdom after the 9/11 attacks to connect with extremist networks in Pakistan. Having joined Kashmiri oriented networks that increasingly became intertwined with al-Qa`ida, he rose up the ranks, featuring in the background of a number of different plots—from the July 7, 2005, attacks in London to the 2006 liquid explosives plot targeting transatlantic airliners. After a brief period in Pakistani custody, Rauf escaped and once again played a role in a number of serious al-Qa`ida attempts against the West, including the 2009 plot by Najibullah Zazi to attack New York City’s subway system. His exact role in al-Qa`ida, however, has not been carefully explored publicly, in particular to try to assess how important the Briton was within the organization and to see whether he was merely a point of contact or a more operational leader. Given the fact that plots connected to him continued to be uncovered almost two years after his reported death in a U.S. drone strike in Waziristan in November 2008, confusion continues to dominate his narrative. In an attempt to try to pry apart the man from the myth, this article provides a detailed assessment of what is known about Rashid Rauf before drawing some conclusions about his position in al-Qa`ida. Rashid Rauf was born in Mirpur, Pakistan, in 1981 and moved to Birmingham as a child. His father, Abdul, moved with his family in the early 1980s as part of the chain of migrations from that part of Pakistan to the United Kingdom. Living in the Alum Rock part of Birmingham, the Rauf family settled quickly into a normal life within the fiercely nationalistic Kashmiri immigrant community. In 1984, a group of men from the community calling themselves members of the Jammu Kashmir Liberation Army (a previously unknown group, they named the Jammu Kashmir Liberation Front, a known group, as their mediators) kidnapped Birmingham-based Indian Deputy Consul General Ravindra Mhatre and demanded the release of imprisoned leaders in India and £1 million sterling. When their demands were not met, they executed Mhatre and dumped his body outside a farm near the city. While the murder was a shock to many, it highlighted the strength of pro-Kashmiri feeling among the community. Throughout the 1990s, jihadist leaders from Kashmir would travel through Birmingham and other British Pakistani communities raising money. One such individual who made this journey was Maulana Masood Azhar, who in 1992-1993 was reported to have given fiery speeches in Birmingham at mosques near where Rauf was being brought up raising money for Kashmiri fighters. An apparently impressive speaker, an attendee told local journalist Amardeep Bassey that they saw women taking off their jewelry after conferences and handing it over to the preacher in support of Kashmir. The Rauf family was not atypical in its activity support of the Kashmiri cause, and came from a long line of distinguished religious leadership. Reports have stated Abdul Rauf was a religious judge back in Kashmir, a role he continued in Birmingham. He also helped found Crescent Relief, a charitable organization that sent many thousands of British pounds to provide support in the wake of the October 2005 earthquake in Kashmir (although it is not clear Abdul Rauf was still involved then). The family’s mother apparently used a garden shed as a makeshift school in which she would give free Islamic classes to local children. Rashid Rauf’s childhood home was near an Ahl-e-Hadith mosque, the strict religious sect that has historically gone hand-in-hand with Lashkar-i-Tayyiba to provide religious indoctrination to their fighters. During breaks in school, Rauf was reported to have been assisting his father’s bakery business delivering cakes to local shops. He was also seen at the local gym, played football with other locals and prayed relatively regularly at the mosque. At the time, Birmingham had a number of gangs involved in defending local minority communities from right-wing attacks, and while it is not clear that Rauf was a member, he was reportedly close to one of the key members of the Aston Panthers. He is also understood to have been close to an uncle living in East London who was involved in the Kashmiri struggle. It is uncertain whether this uncle was involved in the East London charity “Crescent Relief” that Rauf’s father had helped establish and that was reported by neighbors in 2005 (after Rauf’s father had stepped down from his role) to have started to distribute flyers highlighting the plight of Kashmiris. In April 2002, Rauf and Gulzar abruptly left the country to go to Pakistan, wanted for questioning in the murder of an uncle of Rauf’s named Mohammed Saeed. The exact causes of the “frenzied stabbing” are unclear, with speculation that jihadist politics or an arranged marriage may have been causes. A couple of months prior to the murder, Gulzar and Rauf were reportedly spotted at an internet cafe in Portsmouth where they researched a U.S. aviation firm and purchased a GPS map receiver and “various compass/map CDs” using fraudulent credit cards. It is unclear if they were traveling together, but this equipment would have proved useful to Rauf who by the middle of 2002 had reached Bahawalpur, Pakistan. Gulzar was ultimately acquitted of all charges against him. Once Rauf reached Bahawalpur, his links to the Kashmiri jihad became clearer. Soon after arriving, he married the daughter of Ghulam Mustafa, the founder of the Darul Uloom Madina, a famous local Deobandi madrasa. According to one report, Rauf knew Mustafa from when the preacher had stayed at the family home in Birmingham. Another of Mustafa’s daughters is married to Masood Azhar, the jihadist leader who visited Birmingham and who had since 1992 risen to establish his own Kashmir oriented jihadist group, Jaysh-i-Muhammad. According to Rauf’s confessions to Pakistani interrogators in 2006, his intention in 2002 was to go and fight the United States in Afghanistan. Arriving in Pakistan, Rauf claimed he connected with Amjad Hussein Farooqi, a senior Pakistani member of Jaysh-i-Muhammad with close links to al-Qa`ida. Rauf claimed that he first went to Afghanistan with Farooqi in mid-2002 and from there was able to establish a close connection with a number of core al-Qa`ida members. When Farooqi was killed in a police raid in 2004, Rauf’s connection within al-Qa`ida seems to have shifted to Abu Faraj al-Libi, a senior member of al-Qa`ida described as head of external operations, who was reportedly in regular contact with operatives in the United Kingdom. Other Britons al-Libi is believed to have been in contact with include Mohammed al-Ghabra, a Syrian still living in East London who has been identified in British court documents as having stayed with al-Libi for a week in 2002. Al-Ghabra was later accused of being involved in the 2006 transatlantic airliners plot (although no specific charges were laid against him) and is listed on the UN sanctions list as being associated with al-Qa`ida and al-Libi in particular. By 2004, Rauf was still a relatively low-level player within the organization, as he does not appear much in secondary reporting. For example, in the large Operation Crevice plot (which was disrupted by authorities in March 2004)—the first large-scale British plot in which a group of mostly second-generation Pakistani-Britons from London’s environs planned to explode a large fertilizer device at a shopping mall—Rashid Rauf does not feature. Behind the scenes, however, it seems it was around this time that Rauf’s first major plot came together. According to a post-operation report that European and U.S. security services believe was written by Rauf, at around this time a young Pakistani-Briton known as Umar made his way to Waziristan and connected with an individual identified in documents as Haji, but believed to be Abu Ubaydah al-Masri. According to Rauf, Haji persuaded Umar to train for a martyrdom operation back in Europe and was sent to the United Kingdom in June 2004 once he had been trained in how to use hydrogen peroxide as an explosive. The connection, however, seems to have been through Haji, with Rauf playing a supportive role. While Umar failed to carry out his attack, Rauf reported that he did pass on the contacts for Mohammed Siddique Khan and Shehzad Tanweer, two men Umar knew and whom he trusted. Rauf waited a couple of weeks before making contact with the two men and assessed whether they seemed dedicated enough to the cause. Having concluded the men were committed, he traveled with them into the tribal areas putting them in direct contact with Haji. Leaving them with the leader for a couple of days, by the time he returned Haji had persuaded them to carry out attacks in the United Kingdom. Rauf then chaperoned the two men around the tribal regions to get explosives training, record their suicide videos, and instruct them on the targets they should aim for once back in the United Kingdom. At a certain point, he reported planning to travel back with the two to help them with their operation, but that he was unable to get a clean passport in time. In any event, by February 8, 2005, Khan and Tanweer moved back to the United Kingdom. Rauf continued to manage the plot from afar, using Yahoo messenger, e-mails and mobile phones to help them decide on targeting and helping them when they encountered problems, for example in the concentration of the hydrogen peroxide. In December 2004, Rauf reported receiving information that a new group of three Britons had arrived in the tribal areas—Muktar Said Ibrahim, Rizwan Majid and Shakeel Ismail (though they were all using cover names). Ibrahim boasted to his roommate as he left that he was off to “do jihad” and that “maybe [he] wouldn’t see [Ibrahim] again, maybe [they] were going to see each other in heaven.” Having waited a couple of weeks, Rauf made contact and spent some time with the men assessing their credentials and their potential use as plotters. He then dispatched them to meet with Haji who took them to be trained in explosives. Likely more focused on the eventual July 7, 2005, plotters, Rauf spent less time with the men, reporting that while they were receiving their explosives training there was an accident during which Majid and Ismail were killed. When he met Ibrahim again, it was in Islamabad and the two had a short period in which to record his suicide video, arrange his return flight, organize codes and methods of communication and ensure that Ibrahim was ready for his operation. The shortened timeline was due to the need to get Ibrahim out of the country before his visa expired. Rauf reported that everything came together and he received a note from Ibrahim saying he had arrived safely in the United Kingdom. After this, however, there was silence with no responses using the predetermined methods. Through other contacts, Rauf was able to reach out to Ibrahim, but all he heard back was that the operation was proceeding. In the end, the first plot succeeded and the second did not. Rauf ascribed the fact that he was able to keep contact with Khan as the key behind success, since he could manage the operation and help Khan work through the technical difficulties with the hydrogen peroxide. Based on Rauf’s assessments, it is possible to see that with both cells he acted as the first point of contact for the fighters having been passed their details, vetted them for suitability and then helped them connect with more senior members of al-Qa`ida who trained and persuaded them to become willing suicide bombers back in the United Kingdom. He also helped the plotters record their martyrdom videos and arranged their communication methods. Clearly a key figure in the plots, he was nevertheless a middleman, and one who to some degree must have been viewed as expendable given the fact that he claimed to have attempted to go back to operate alongside the plotters in the United Kingdom, an operationally risky move. Furthermore, the fact that he played a different role with the July 21, 2005, plotters (spending less time with them) suggests that he was not the only operator shepherding cells around at the time. The success of the July 7, 2005, operation in London—in which 52 people died on London’s public transportation system—is likely to have raised Rauf’s profile within al-Qa`ida. By the time he came to the transatlantic airliners plot in his post-operation report, Rauf referred to himself and Haji as peers and co-plotters. While it is clear that Haji was still the senior organizer, Rauf had taken on a far more hands-on leadership role in the plot. He described the technical details of how they decided to come to use liquid explosives on planes and other particular aspects of the chemical composition of the devices, suggesting deep involvement in this aspect. Rauf provided a lot less detail about shepherding the key figures in the plot around the tribal regions, and instead wrote about the individuals like pawns in an operation. He described using methods of communication similar to those he deployed in the earlier plots, but instead this time had a set of mobile numbers he was using for the operation, one for each contact. He described how he had three numbers for contacts in the United Kingdom and one for Pakistan. Court evidence of his control over the plot was provided in the form of e-mails that were supposedly from him (using the nickname “Paps”) or someone linked to him showing Rauf directing key figures on the ground. The language deployed was colloquial British slang, and clearly delivered by someone with good command of the language. In a separate case linked to the plot, Rauf instructed via e-mail Adam Khatib, one of the younger members of the network, to behave himself after he was arrested for driving illegally. Furthermore, authorities alleged that he dispatched his old Birmingham friend Mohammed Gulzar back to the United Kingdom to act as his man on the ground. During the time since Gulzar had fled from the United Kingdom, the only substantial activities he is identified as doing is traveling back and forth to South Africa to obtain a passport and a wife, and meeting with Mohammed al-Ghabra (which he admitted to in court). Later court documents identified Gulzar as being “in contact with Rauf and with one of the convicted plotters, Assad Sarwar.” As well as being in touch with at least one key figure on the ground in the United Kingdom linked to the airliners plot, authorities alleged that Gulzar was in touch with at least one other potential cell in the United Kingdom. Rauf referred to two other individuals in his report who were not detected, as well as highlighting the purpose of Assad Sarwar to act as bombmaker and to stay undetected for use after the plot. While this plot has clear evidence of Rauf having moved up the value chain in al-Qa`ida—working to establish networks in Europe for future attacks, coordinating the plot seemingly on the same level as a senior al-Qa`ida leader, involved in most aspects from managing the individuals to the technical aspects of the bomb—it ended up with him being arrested in Pakistan. Largely kept from talking to the press, when he was brought before a court in December 2006 he declared, “I have done nothing wrong but I have been framed. I am not optimistic that I will be cleared…everything against me is based on lies, lies.” Oddly, however, for an innocent man, he did not appear to ask for consular assistance. In fact, the Pakistani courts were forgiving and a judge declared the charges against him “flimsy” and with “no substance,” dropping all the charges. Less than a year later, he had still not been extradited to the United Kingdom, and in September 2007 was ordered released by a Pakistani court. Before any of this could take place, however, in December that year he managed to escape from custody in very questionable circumstances. Whether anything can be read into his escape and Pakistani unwillingness to extradite him to the United Kingdom is unclear. From an al-Qa`ida perspective, however, Rauf’s escape from custody was a blessing, and he almost immediately started to feature in reports from foreign fighters who joined al-Qa`ida. For example, Bryant Neal Vinas, a young American who came to the tribal belt to join the fighting in Afghanistan in September 2007, claimed to have met Rauf and senior al-Qa`ida ideologue Abu Yahya al-Libi at some point in 2008. In November 2008, a few days before Rauf was allegedly killed in a drone strike, Vinas was captured in Peshawar by Pakistani forces. He claimed to have met senior al-Qa`ida leaders and to have plotted with them to attack the Long Island Rail Road in the United States. Whether it was Rauf who directed him is unclear, but security services in the United Kingdom believe that during 2008 Rauf devised a plan to use a group of local Pashtuns who were to infiltrate the United Kingdom using student visas and allegedly carry out an attack in a northern British city. The specifics of his involvement in the plot are uncertain given the fact that no one has been convicted of the plot and one of the key alleged figures is currently fighting extradition to the United States, obstructing the release of information. Rauf’s hand was more prominently visible in another plot linked to this group: the cell led by Najibullah Zazi that was intercepted in September 2009 during an attempt to carry out a suicide bombing on the New York City subway system. According to Zazi’s co-conspirator Zarein Ahmedzay, having made contact with al-Qa`ida in Peshawar in September 2008 they were taken by “Ahmad” to Miran Shah in the tribal belt where one day a convoy of vehicles came to meet them bearing Salah al-Somali and Rashid Rauf. Rauf is reported to have told the men that “they would be presented with a serious decision” and had to decide whether they wanted to become suicide bombers. A third cell, connected through an e-mail account that was managed by “Ahmad” who was in touch with individuals from all three groups, was uncovered in Oslo. It is unclear whether Rauf met with the key plotters, although on the presumption that he was indeed killed during a drone strike on November 22, 2008, it would have been difficult for him to meet with the lead plotter Mikael Davud since it was only November 20, 2008, that Davud left Turkey for Iran to make his journey to the tribal belt. What is clear is that Rauf was no longer the contact man reaching out and vetting recruits or shuttling them around. In both Vinas’ and Ahmedzay’s accounts, he was a figure brought in to talk to the aspirant plotters and then left them to be trained and prepared by others. In this set of cells, it appears as though it was “Ahmad” acting as the courier, bringing the aspirant warriors around, acting as their first point of contact with al-Qa`ida and then later managing the e-mail account through which they could communicate with the al-Qa`ida leaders—roles that Rauf played with the July 7 plotters. His elevation to the core of al-Qa`ida seemed complete, with him now only appearing to talk to foreign recruits alongside senior al-Qa`ida members and presumably acting as an English-speaking figure of importance who could talk to foreigners in their own terms. Having met them, he seemed to slip into the background from where he directed the men immediately handling the plotters—in this case “Ahmad” who acted as the go-between to the various cells. Once established, the plots were seemingly able to run without Rauf’s leadership, something necessary given his reported death on November 22, 2008. It was another five months before the plotters in northern England were uncovered, and almost a year before Najibullah Zazi and his cell were detected in New York. Rashid Rauf’s body was never found, al-Qa`ida never officially recognized his death and plots with links to him were still being uncovered almost two years after his reported demise. His family is convinced he is alive and in the custody of Pakistani intelligence services, while senior American sources are certain he is dead. Whatever the case, it seems clear that Rashid Rauf was by his death a serious player in al-Qa`ida who had risen up the ranks from a British-Pakistani fixer and foot soldier to the key hub for a number of terrorist plots. His ascension was no doubt accelerated by his Kashmiri jihadist pedigree and his ability to develop close relationships with numerous senior al-Qa`ida figures. Having gained their trust, he was then used as a friendly foreign face who was able to vet and meet foreign fighters who arrived in the tribal belt seeking to connect with al-Qa`ida. For these foreigners, the contact with al-Qa`ida was likely made easier by the presence of someone like Rauf—a Westernized foreigner who could understand their backgrounds and their psychological journey. His death, if true, would have clearly been a loss to the group, although it does not seem as though it has necessarily stopped their capacity to train and dispatch fighters back to plot attacks. Rauf’s trajectory from a Birmingham Pakistani involved in Kashmiri politics and Islamism to an al-Qa`ida militant is one that is typical of the British jihadist narrative, and one that echoes a number of other narratives. Where Rauf distinguished himself is in having survived within al-Qa`ida in the tribal belt for so long, slowly rising up to a rank of some importance within the group and not ultimately returning to the United Kingdom to attempt to carry out an attack. Instead, from his perch in the tribal belt he acted as a puppeteer to a series of plots that while only successful once, were able to strike fear and terror right into the heart of the West. The 2006 transatlantic airliners plot, with its innovative use of liquid explosives, led to the still current ban on liquids on airplanes. Rashid Rauf, dead or alive, clearly succeeded in making his mark on the world as a key al-Qa`ida figure. 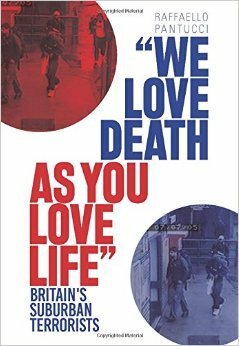 Raffaello Pantucci is an Associate Fellow at the International Center for the Study of Radicalisation (ICSR) at King’s College, and the author of the forthcoming We Love Death As You Love Life: Britain’s Suburban Mujahedeen (Hurst/Columbia University Press). “Allegations of UK Complicity in Torture,” House of Lords and House of Commons Joint Committee on Human Rights, 23rd Report of Session 2008-2009, July 21, 2009, p. 109. Regina v. Abdul Quayyum Raja, Royal Courts of Justice, 2004. Personal interview, Amardeep Bassey, June 2012. A West Midlands based journalist, Bassey has done a lot of work among Birmingham’s Muslim and gang community. Cole Morton and Andrew Buncombe, “The Life and Death of Rashid Rauf,” Independent on Sunday, November 23, 2008. Cahal Milmo, Ian Herbert, Jason Bennetto and Justin Huggler, “From Birmingham Bakery to Pakistani Prison, The Mystery of Rashid Rauf,” Independent, August 19, 2006. Personal interview, Amardeep Bassey, June 2012. “Muslim Teacher in Carol Concert Tirade is Made Ofsted Inspector,” Daily Mail, September 30, 2006. Daily Mirror, August 15, 2006. Dominic Casciani, “Profile: Rashid Rauf,” BBC, November 22, 2008. Unpublished “Special Investigation” into Gulzar for the Sunday Mercury by Ben Goldby. Mitchell D. Silber, The Al Qaeda Factor (Philadelphia: University of Pennsylvania Press, 2012), p. 42. Personal interview, Amardeep Bassey, June 2012. More famous to readers than the Panthers in Birmingham was the Lynx gang of which Guantanamo detainee Moazzam Begg was a member. A number of individuals from these groups ended up involved in jihadist activity. Ian Fisher and Serge Kovaleski, “In British Inquiry, a Family Caught in Two Worlds,” New York Times, August 20, 2006. Richard Greenberg, Paul Cruickshank and Chris Hansen, “Inside the Terror Plot that ‘Rivaled 9/11,’” Dateline NBC, September 14, 2009. Andrew Alderson, “Rashid Rauf: Profile of a Terror Mastermind,” Daily Telegraph, November 22, 2008. Secretary of State for the Home Department and AY, Royal Courts of Justice, July 26, 2010. “The Radical with Perfect Cover,” Sunday Times, August 20, 2006. “Rashid Rauf,” Guardian, November 22, 2008. Asif Farooqi, Carol Grisanti and Robert Windrem, “Sources: UK Terror Plot Suspect Forced to Talk,” NBC News, August 18, 2006. “Security Council Committee Pursuant to Resolutions 1267 (1999) and 1989 (2011) Concerning Al-Qaida and Associated Individuals and Entities,” United Nations, October 2009. “7 July Bombings,” BBC, July 8, 2008. Ibid. “Terror: How a String of Blunders Left Bombers Free to Cause Carnage,” Daily Mail, July 10, 2007; Secretary of State for the Home Department and AH, Royal Courts of Justice, May 9, 2008. “Profile: Muktar Said Ibrahim,” BBC, July 11, 2007. “Explosive Emails,” Wall Street Journal, September 7, 2009. Duncan Gardham, “Teenager Sentenced to 18 Years after Being Groomed as Suicide Bomber in Trans-Atlantic Airlines Plot,” Telegraph, December 10, 2009. Secretary of State for the Home Department and AY, Royal Courts of Justice, July 26, 2010; Silber, p. 42. Secretary of State for the Home Department and AM, Royal Courts of Justice, July 6, 2012. Ibid. Secretary of State for the Home Department and AM, Royal Courts of Justice, December 21, 2009. David Williams, “It’s All Lies, Protests Suspected Air Bomber,” Daily Mail, December 22, 2006. “UK Request Being Considered: FO: Extradition of Rashid Rauf,” Dawn, August 28, 2006. “Release of Two Britons including Rashid Rauf Sought,” Daily Times, September 1, 2007. Massoud Ansari and Miles Erwin, “London Airline Bomb Plot Suspect Escapes,” Daily Telegraph, December 16, 2007. Sebastian Rotella and Josh Meyer, “A Young American’s Journey into Al Qaeda,” Los Angeles Times, July 24, 2009. USA v. John Doe, Eastern District of New York, 2009. “Arrest of ‘Easter Bombers’ Led to International al Qaeda Network,” Daily Telegraph, May 18, 2010. “Den offentlege patalemakta mot Mikael Davud, Shawan Sadek Saeed Bujak Bujak, David Jakobsen,” Oslo City Court, January 30, 2012. A new piece for Jamestown Foundation’s China Brief as part of my ongoing research on China in Central Asia with Alex. This one focuses on China-Uzbekistan. I was also interviewed by the Italian Linkiesta on energy politics in Central Asia (for those who can read Italian), and did a presentation or two that haven’t shown up online. I have been a bit quiet of late as I have some large pieces in the pipeline and have been travelling a lot, so please forgive me. But keep an eye on this space, some very interesting stuff coming soon! The exact reasons for Uzbekistan’s decision to withdraw from the Collective Security Treaty Organization (CSTO) at the end of June remain unclear (Xinhua, June, 29; Russia Today, June 28, 2012). However, while Tashkent seems to have soured on the Russian-led regional organization, President Islam Karimov took time in June to pay a state visit to Beijing that included attending the Chinese instigated Shanghai Cooperation Organization (SCO). In addition to attending the SCO Summit, President Karimov held separate bilateral meetings with President Hu Jintao, signed a strategic partnership agreement and approved a raft of new measures to strengthen Sino-Uzbek relations (Gov.uz, June 8; Xinhua, June 7). At this high level, relations are clearly moving in a positive direction. The view from the ground, however, is far more complex with Uzbekistan’s traditional vision of itself as a regional powerhouse and industrial power potentially at odds with China’s growing influence in Central Asia. The main public take-away from the June 2012 Shanghai Cooperation Organization (SCO) Summit in Beijing was the organization’s decision to admit Afghanistan as “observer” member and Turkey as “dialogue partner” (Xinhua, June 7). When taken alongside the news that China and Afghanistan were to upgrade relations to a strategic partnership, the main international focus was on what this might mean for China’s future involvement in the war-torn country. This news story somewhat overshadowed the other big announcement to emerge on the fringes of the SCO Summit, the bilateral meeting between President Islam Karimov and President Hu Jintao during which the leaders signed a “Joint Declaration on the Establishment of Strategic Partnership Relations” (Xinhua, June 8). This came in the wake of a visit to Tashkent by General Chen Bingde, Chief of People’s Liberation Army (PLA) General Staff, who paid a bilateral visit to the capital during a regional trip that culminated in a pre-Summit meeting of military heads to plan future joint military exercises (Xinhua, June 4; PLA Daily, June 4). Although these sorts of regional summits and meetings are often more notable for the empty statements that are produced, the signals sent are loud and clear when read within the context of Uzbekistan’s regional diplomacy. Karimov’s very presence at the summit was important, given that he makes a point of not attending similar Russian-sponsored summits or other multilateral get-togethers. Tashkent’s foreign policy is fiercely independent—something emphasized in the decision to withdraw from the CSTO, where Uzbekistan had long resisted a number of the largely Russian instigated efforts to deepen integration. Consequently, the combination of President Karimov’s attendance at the SCO summit, the military meetings prior and the signing of a formal strategic partnership most likely signals genuine intent. While the strategic partnership agreement itself covers areas from military exchanges to tourism programs, it is Uzbekistan’s willingness to allow China more access to its economy that stands out most. Plans call for the development of joint special economic zones and greater Chinese involvement in the natural resource extraction, aviation and transportation sectors (Xinhua, June 3; September 23, 2011). Even within the SCO, while Uzbekistan is resistant to get too involved at a military level, it still has permitted the establishment of the SCO Regional Anti-Terrorism Structure (RATS) in the capital Tashkent. Opened on January 1, 2004 and headed by an Uzbek Major General, RATS has an executive committee of officials drawn from each member state’s Ministries of Foreign Affairs, Interior Affairs or State Security (RATS SCO, November 30, 2004) . While it is hard to discern how active the institution is, local analysts highlight its presence as significant within the context of Uzbekistan’s independent streak . This is not to overplay Uzbekistan’s involvement of course—Tashkent has so far refused to participate in anything but an observer role in the biannual “Peace Mission” joint exercises (Eurasia Daily Monitor, June 19). Beyond the SCO there are further tensions visible between China and Uzbekistan on security affairs. According to Tashkent-based analysts, the Uzbek government does not always feel that Beijing shares its concerns about international terrorism. The implication is that, while Uzbekistan views terrorism as a potentially existential threat, China considers it a secondary concern . Furthermore, when focusing on Afghanistan, the main regional security challenge, Uzbekistan prefers to focus its relations and efforts at a bilateral level. This allows the country to concentrate its efforts through preferred local partners, such as Uzbek-Afghan general Rashid Dostum, rather than work at a government level. Relations between Kabul and Tashkent are currently on an awkward footing—something explained to the authors as the consequence of a high-level spat between leaders . Tensions between China and Uzbekistan are also visible at a bilateral investment level. Uzbekistan boasts the only real manufacturing base in Central Asia and is protective of its factories and labor force. According to several local businessmen who worked both with China and other countries, high tariffs are levied against many imported consumer goods with Chinese goods often targeted in particular . Mid-level entrepreneurs interviewed and seen in Tashkent seemed to be doing a brisk trade in Chinese-made products that were modified or assembled in Uzbekistan to mask their origin. In contrast, large-scale Chinese imports or rentals of equipment—such as heavy machinery, agricultural and transport equipment—are encouraged as a way to boost Uzbekistan’s production . Recent high-level meetings also have focused on Tashkent’s plans to reroute more of its natural gas, traditionally exported through Russia, into the China-Central Asia pipeline. During the recent meeting in Beijing, the two sides were reportedly “energetic and enthusiastic about the project,” though foreign observers have questioned the viability of some of the numbers being spoken about (Gov.uz, June 8) . In particular, it is not entirely clear how they will achieve exports of 10 billion cubic meters to China in 2013 without missing quotas for export elsewhere or domestic demand (Reuters, May 17). One possible alternative being explored is the deepening of bilateral cooperation between China and Uzbekistan on solar energy and solar furnaces. Reportedly, the two sides have signed a bilateral memorandum of understanding to go into joint production . In August 2011, the Xinjiang Garson Sun Wind Power Technology Company opened an office in Uzbekistan, part of a larger regional push (China Daily, August 16, 2011). A Chinese firm, the Holley Group, also have agreed to work with Uzbek partners to upgrade the Uzbek metering system (MeteringChina.com, June 14). Beyond energy, China has provided some infrastructure development in Uzbekistan, with China Road and Bridge Company (CRBC) participating in road projects alongside South Korean firm Posco (UzDaily.com, April 9). Although this paints a picture of enhanced cooperation—and one that is seemingly deepening in the wake of the recent bilateral meetings between President Hu and President Karimov—there is an undercurrent of uncertainty. Chinese firms, while clearly present in Uzbekistan, have a relatively low visibility and encounter the same difficulties getting profits out of the country as other foreign firms. One way around this is to reinvest the profits generated from selling back office technology into the country, something that Huawei and ZTE—two of China’s largest telecommunications companies—currently are doing to make handsets in Uzbekistan. From an Uzbek perspective, the priority is clearly to maintain a manufacturing base while living close to the world’s factory, China. Uzbeks have watched as neighboring states Kyrgyzstan and Kazakhstan slowly have found themselves overly dependent on China and are wary of falling into a similar position . There is some evidence of this already taking place in Uzbekistan. One example given to the authors was that cotton packaging had been altered to meet Chinese demands specifically—something Beijing was able to impose because they are the largest consumers of Uzbek cotton . Some in the country, however, have highlighted the potential for the state to profit from China’s increasing labor costs. Uzbekistan’s relatively developed manufacturing base, educated workforce and good infrastructure offer themselves as good alternatives. During a speech in Tashkent July 2011, World Bank Senior Vice President and Chief Economist Justin Yifu Lin spoke of Uzbekistan being in an excellent position to profit from the fact that countries like China, India and Brazil were slowly moving up the value chain (Blogs.worldbank.org, July 13, 2011). Foreign diplomats interviewed mentioned how they were taking business delegations around the country and at least one textile firm apparently was considering moving its manufacturing from China to Uzbekistan . Uzbekistan’s most prominent East Asian investment partner, however, is not China but South Korea. With over $10 billion in total direct investment (as opposed to just over $5 billion from China), South Korea may not have the same geopolitical clout as China, but the relationship allows Tashkent to avoid relying too much on China and Russia (Korea Times, June 6). The partnership began just after independence with familial and small business links between the Soviet Koreans of Uzbekistan and their counterparts on the Korean peninsula. It further blossomed into high-level investment partnerships and close personal ties between President Karimov and a succession of South Korean presidents. It is not uncommon for Uzbeks who emigrate to find jobs and business opportunities in South Korea and the government in Seoul has provided direct aid—often linked to investment projects—to Uzbekistan (Korea Times, February 10, 2010). When driving through Navoiy Province in southern Uzbekistan, newly paved roads lead to a prominent cargo airport and to new factories and office buildings of the sprawling special economic zone developed by Korean companies as part of a Korean-Uzbek partnership. Uzbek analysts and officials openly say that Karimov views South Korea and other Asian Tigers, such as Malaysia, as models for Uzbekistan’s development . In doing so, he is not only crafting an economically positive narrative for the country’s future, but he also is balancing against China conceptually. Aware of the difficulties in using China’s growth pattern as a model to emulate, Uzbekistan sees countries like South Korea as a more sound model to follow. The Asian Tigers are nearer in size to Uzbekistan and have managed the shift from a closed economy with authoritarian government to a more liberalized market economy well-integrated into the global economy. In keeping Uzbekistan’s economy relatively closed, Tashkent is not only maintaining a tight control over its economy, but it is also trying to forge a relationship with China that is not overly dependant with the giant to the east. So far, cautious diplomacy, protectionist economic measures and strategic diversification have allowed Uzbekistan to be the master of its own destiny without overly antagonizing any of its regional partners. Unlike in other countries in Central Asia visited by the authors, the general perception of China in Uzbekistan is far more positive . When asking generally about the Chinese presence in the country, Uzbeks are curious and positive with none of the vicious rumors heard in neighboring countries—such as Tajik rumors that the work crews sent to work on construction sites are prisoners and that Chinese men are marrying local women. In part, this is likely due to the absence of a direct border with China, meaning the fears of annexation and mass Chinese immigration are less. Uzbeks spoken to at Beijing-sponsored Confucius Institutes or those learning Chinese at local universities were learning about China and its language out of curiosity, a desire for work or an eagerness to travel. Chinese businessmen reported finding success and establishing roots. At the same time, however, Chinese firms have the same problems faced by other foreign firms in Uzbekistan, including difficulties with getting profits out of the country and an awkward local bureaucracy. Uzbekistan is not instinctively hostile toward China, but rather is quite closed to the outside world more generally. What is interesting to note is the gradual geopolitical alignment that is increasingly visible between China and Uzbekistan, though it is one that from the outside seems more balanced toward trade than security matters. While clearly part of a larger Uzbek balancing strategy; from a Chinese perspective, the result is a net positive one that accords with a vision that has its eye on the longer-term. For Beijing, a stable and prosperous Central Asia is the goal, allowing for trade as well as providing China with natural resources. To achieve this, China is willing to play whatever game is required. Beijing is able to accommodate Uzbekistan’s tendency to behave as a cautious actor, investing and forging a relationship with the country at a pace that fits with Uzbek concerns and that looks beyond artificial deadlines. In this way, China is able to offer Uzbekistan a partnership that stands in contrast to the fickle Western approach that oscillates between friendship and condemnation, something that helps belie underlying Uzbek concerns of competition from the rising Asian giant. Hardly a partnership of equals, Beijing’s approach has ensured that it has continued to be able to focus relations with Tashkent on its interests in the country. Author Interview, RATS Headquarters, Tashkent, May 10, 2012. Author Interview with Uzbek Official at a Foreign Organization, Tashkent, May 8, 2012. Author Interview with Foreign Observer, Tashkent, May 11, 2012. Author Interview with Uzbek Analysts, Tashkent, May 10–11, 2012; Author Interviews, Kabul April 30, 2012. Direct flights between Kabul and Tashkent are impossible and flights pass through Dubai or elsewhere. The authors flew Kabul-Dushanbe and then drove through Oybek border post to Tashkent. Author Interviews with Local Businessmen, Tashkent, May 2012. Author Interviews, Tashkent, May 9, 2012. The authors also saw numerous large Chinese-made trucks and other mobile machines at various locations in Tashkent and Samarkand. Author Interview with Foreign Official, Tashkent, May 10, 2012. Author Interview with Local Analyst, Tashkent, May 7, 2012. Author Interview with Local Analyst, Tashkent, May 8, 2012. Author Interview with Uzbek Analyst, Tashkent, May 7, 2012. Author Interview Tashkent, May 11, 2012. Author Interview Tashkent, May 10, 2012. In conducting research on China and Central Asia, the authors have visited Afghanistan, Kazakhstan, Kyrgyzstan, Tajikistan and Uzbekistan.